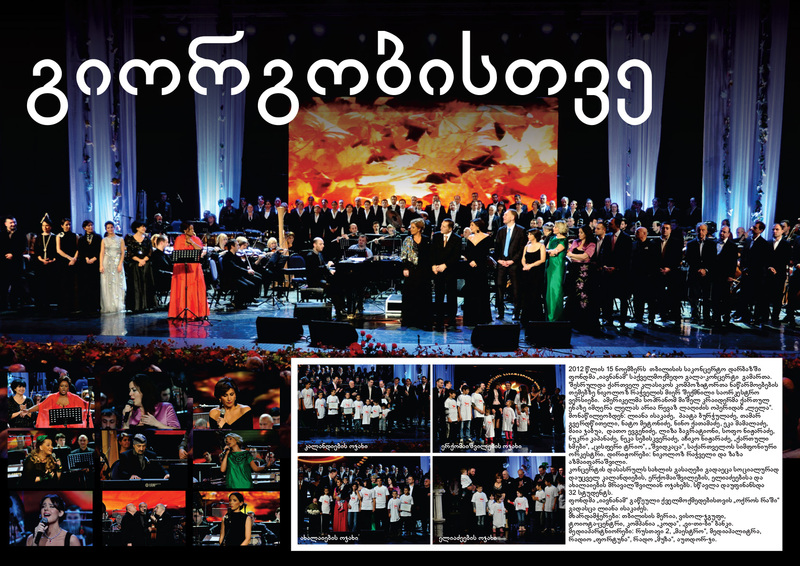 On 15 November 2012, Iavnana Charity Foundation held a concert at the Tbilisi concert hall. The event involved the musicians and singers such as: Mmes. Liana Isakadze, Tamar Gverdtsiteli, Nato Metonidze, Nino Katamadze, Eka Mamaladze, Maya Jabua, Lisa Bagrationi, Sophie Nizharadze, Nukri Kapanadze, Neka Sebiskveradze and Messrs. Paata Burchuladze, Archil Nizharadze and David Evgenidze, who performed the Georgian composers’ some of the best known pieces. The audience also listened to the American soprano Michel Kryder, the Shvidkatsa and Georgian Voices ensembles. The Georgian Symphonic Orchestra was conducted by maestros Nikoloz Rachveli and Zaza Azmaiparashvili. The Tbilisi City Hall supported project presented by Wissol Group. Media partners: Rustavi 2 TV, Maestro TV, “Fortuna” and Muse Radios and Outdoor.ge.